Starmark’s Augmented Reality (AR) app strategy for SeaWorld Orlando took fans on an unforgettable Antarctic adventure – no flight needed. 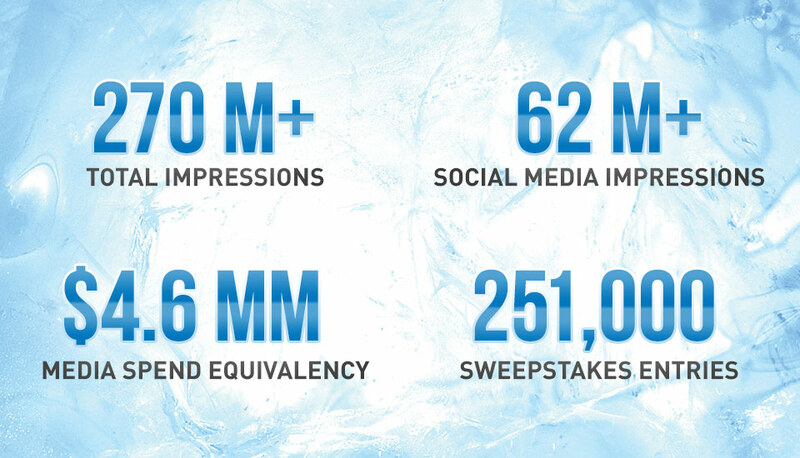 It played a key role at every stage of the campaign, driving awareness, participation and social shares at SeaWorld’s 10-city “Epic Voyage” Antarctica Tour, as well as in consumers’ own homes. SeaWorld Orlando’s new thrilling, chilling attraction, Antarctica: Empire of the Penguin, encompassed a ride, penguin habitat, gift shop and restaurant. It was their biggest expansion to date: they needed to generate awareness and desire to visit months before it opened. Starmark proposed an augmented reality app that could boost awareness, create social conversation and generate buzz in engaging ways. The app would be sponsored by the Coca-Cola Company, one of the park’s key marketing partners. Leveraging leading-edge augmented reality, the Empire of the Penguins AR app transported fans to real-world penguin life on the icy South Pole continent. Consumers could meet and interact with the attraction’s characters one-to-one: at an event or right in their own homes. Users shot AR videos of themselves, friends, family, even their pets. The app augmented this video with scenes from Antarctica featuring the penguins. We collaborated closely with SeaWorld’s designers, using the same 3D models and textures they did. This ensured strong synergy between app and actual in-park ride. In addition to AR, users could discover more about Antarctica through a video trailer, penguin personality quiz and fast facts. They could buy park tickets. Enter a sweepstakes. And engage with SeaWorld Orlando socially. The app was modular: topics could be added or removed easily as opening date neared. Once the attraction opened, a live Penguin Cam was added. The app also simplified Social Media sharing with pre-populated handles and hashtags. Fans eagerly shared 94,000 pics and videos, driving big viral buzz and awareness for the attraction.